You are the traditional Dragon! 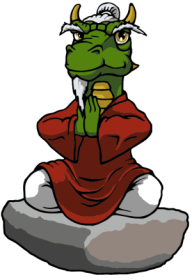 The traditional dragon: you know the power of experience and prefer to work without frippery. You dictate without without speech recognition, wherever you happen to be and pass on the dictation to trusted persons, who transcribe in reliably for you. Because there have always been dragons that beat haste by being prudent. Dictation The author works without speech recognition and dictates using a dictation device or smart phone or a pc-based recorder. Transcription Following dictation, comfortable playback allows easy transcription by the author or typist. No analogue noise mess and fast-forward and rewind: digital technology ensures precise, low-noise recording and constantly high sound quality. Every position in the dictation can be found immediately. Transcription has never been easier: adjust your reproduce speed independent from the author to your needs, without distorting the tone pitch. Digital recordings can store additional information such as barcodes with patient data, the name of the author or the length of dictation. At the same time you will get an overview of all dictations. This way you save resources and create a transparent dictation system. Using professional dictation hardware (various microphones, footpedals and dictation devices, e.g. Philips SpeechMike and DPM, Grundig DigtaMic, Olympus DS-series) you can control your dragon as easily as you record your dictation with a dictation device or smartphone. With the optional integration into patient administration and legal administration systems are case specific dictation at the push of a button possible. The dns.comfort-workflow recorder auto-saves your dictation continuously during recording on the hard disk. This way no dictation gets lost. The recorder works effortlessly with drafts, too. Dictations from dictation devices are saved during import into the dns.comfort-workflow to a back-up directory. A reassuring feeling – in case the dictation was accidentally deleted from the workflow. With our dns.comfort in-built central dictation device administration many configurations such as author(s), lists and security settings as well as firmware updates can be easily defined and distributed. The transfer onto the dictation device happens as soon as the user connects it with the PC. And if you decide to not only dictate digitally anymore with our dragon, you can easily upgrade to a version with speech recognition.